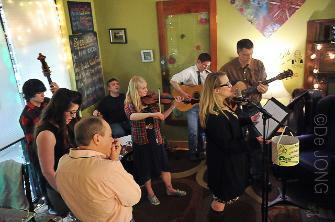 (7:00) Laurie Schaefer graduated from Western Illinois University in 1996 with a bachelors in music therapy. Laurie's primary and favorite instrument to play is the flute. 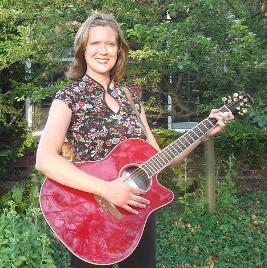 However, Laurie plays the guitar and sings mostly in her music therapy sessions. She loves her profession as a music therapist because she can use her passion for music to help those in need. (7:30) Eric Tempke - I'm told lyrics are my strong point but writing my own review is a bit awkward. Maybe someday Rolling Stone will do it for me! 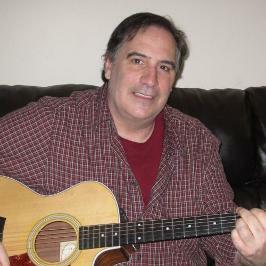 I've been writing and playing for decades, driven solely by passion. With this much history my repertoire is diverse, incorporating blues, rock, folk, jazz, country, and little what-cha-ma-call-it! There ought to be something here you'll enjoy. This month Local Music Night will be held in conjunction with the West Chicago Cultural Arts Commission's opening reception for "Arteculture", a community display of local artists' work.